Burlington is not the only community dealing with climate change. Every community is feeling the impacts and costs of a changing climate — increasing severe weather events, such as flooding and ice storms, heat alerts, and more freeze-thaw cycles which are hard on infrastructure like roads (noticed any potholes lately?! ), bridges and culverts. 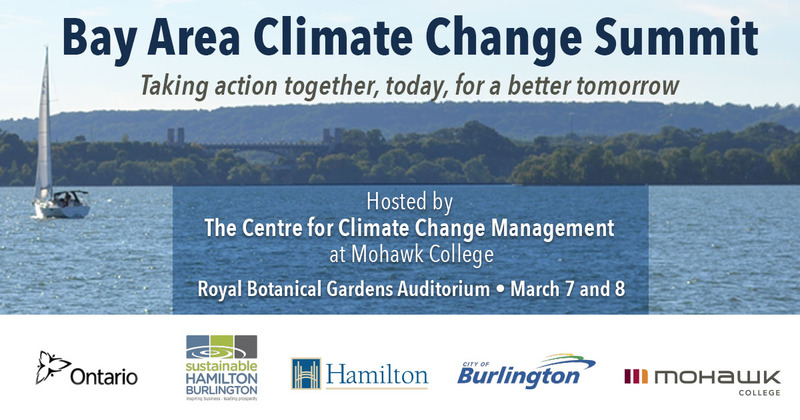 To address these challenges, the cities of Burlington and Hamilton are working together with Mohawk College to address climate change. You’re invited to the launch event for the next phase in developing a Bay Area Climate Action Plan. Whether you’re just starting to think about climate change or are already part of the Bay Area climate change movement, this event will be an opportunity to learn how you can address climate change in your organization and your community. Learn how innovation is being used in our region and beyond. Participate in break-out sessions, share your ideas and sign up for more in-depth Bay Area Climate Change discussions to be held over the coming weeks. Sebastian Damm Wray is a business development manager with the Quercus Group in Copenhagen, Denmark. Wray will speak on how Denmark is engaging citizens and businesses to combat climate change. Please RSVP to reserve your free seat. Choose to attend all day, or just the morning or afternoon session. There is a registration fee for the March 8 event ranging from $25 to $150. However, please note that there is an option for free admission where price is a barrier to attending. The conference agenda and the registration form are available at https://www.eply.com/2018CCCMForum2263122. Take Action Burlington! By taking action on climate change together today, collectively, we will make a difference.